At least 7 of these 10 factors are bound to be negatively impacted by a Brexit. While a case can be made that the lifestyle  and available physical infrastructure [12, 7] (for those who will stick around) will not change too much in the short term, the other factors would indisputably be affected in one way or another. 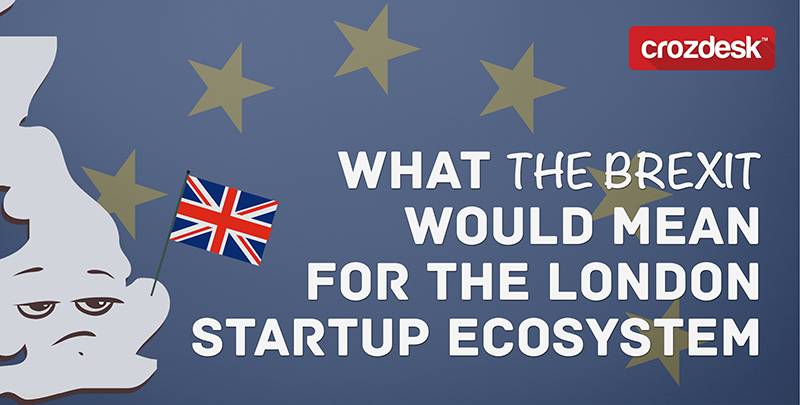 Without the free movement of talent and capital, as well as the grants and support network the European Union provides, the future of the UK startup sector is largely uncertain. With plans to tighten immigration rules and crack down on Tier 2 visa regulations, the skills situation is bound to get even worse than it already is. In 2015 the availability of skilled labour in the UK in general and London in particular, deteriorated for the fourth consecutive year according to the Global Skills Index. These days it is becoming increasingly difficult for startups to find good locally-sourced developers that don’t break the bank. Once you find one you constantly need to watch out for headhunters and recruiters from larger companies who keep trying to hire them out from under you. The situation is not much better for other job functions ranging from design and product management to marketing and sales. Nearshore and Offshore agencies on the other hand are flourishing. Many startups are forced to hand off their tech development and other primary business functions to third parties because they can’t afford to hire the right people locally. There is a huge opportunity for job creation and economic growth if this skilled labour gap can be plugged. However, this would require more investments in specialised educational programs and more immigration rather than less. London boasts more than 275,000 startups employing upwards of 1.5M people. Around 40% of these businesses were started by foreign-born entrepreneurs. UK-wide the number of people employed by businesses started by immigrants amounts to nearly 9M. While ‘foreigners are stealing our jobs’ is an argument all too often used in debates like this you rarely hear about the number of jobs created by foreign nationals and the corresponding growth of GDP this results in. In fact, foreigners in most areas of the world have a much higher probability of starting businesses than locals. In the UK they are nearly twice as likely to go solo, which has resulted in several of the recent tech unicorns (young companies valued at more than $1B). In the US a staggering 51% of unicorns can be traced back to at least one immigrant founder. The digital economy is bound to reach 12% of UK GDP this year and provides a welcome force of growth vis-a-vis the saturated, traditional and established sectors. With the Brexit and the corresponding deterioration of the ecosystem this growth factor is bound to be gravely diminished and become the driver of other European economies. Several of my friends – British and foreign alike – are contemplating moving their companies to central Europe if the UK leaves the EU. The fear of isolation from the rest of the continent and a further increase in the difficulty of finding skilled employees would drive a great number of young companies abroad. Furthermore, this will inhibit a great many entrepreneurs from establishing themselves in the UK in the first place. They will try their luck elsewhere. 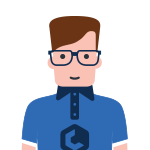 When I set up Crozdesk in Shoreditch nearly 2 years ago, we had a core team of 4 with 6 different passports among us. So far we had a workforce of 12 with 10 different nationalities. There are few ecosystems offering the opportunity to work with people from so many different backgrounds and the London scene is much better for it. Startups need new perspectives and learnings from around the world to design and market truly global products of the future. The London startup scene is still the closest European rival to the promised land that is the Silicon Valley. It may not be for long. While the digital economy represents a real opportunity for the UK to remain internationally competitive for decades to come it is reliant on constant innovation and disruption from young (often foreign) entrepreneurs. So lets choose unity over division and recognise the benefits of working together rather than opting for division and ignorance. Brexit will have a (very) negative impact on the London tech scene. I expect the flow of capital and skilled labour will be severely impacted. I’m personally holding off on hiring decisions ’till the referendum. If the decision is for a Brexit, I’ll be hiring elsewhere in Europe, and not in the UK.